My second YA novel, First Girl, arose from a challenge I set for myself of illustrating the allure of religious extremism and political conservatism for a young adult audience. In it, I fast-forward mere decades to depict a United States devastated by climate catastrophe and imperiled by those who would use faith as a front and fear as the ultimate weapon. First Girl’s heroine, Gabi Lowell, has spent her entire life in the shadow of her powerful father and perfect brother, burdened by the loss of a mother she never knew, and weakened by a mysterious illness that holds the key to her destiny and that of an entire nation. As today’s youth use their voices and, in the case of the recent massive student call for gun control reform at the White House and nationwide school walkouts, their bodies to oppose the rising tide of intolerance and violence in the United States, so must Gabi and First Girl’s unlikely crew of young dissidents risk their lives to save the future. No one defines this crucial intersection of youth movements and young adult literature better than teacher and author Jennifer Ansbach in a recent statement on Twitter that quickly went viral. “I’m not sure why people are so surprised that students are rising up—we’ve been feeding them a steady diet of dystopian literature showing teens rising up for years. We have told teen girls they are empowered. What, you thought it was fiction? 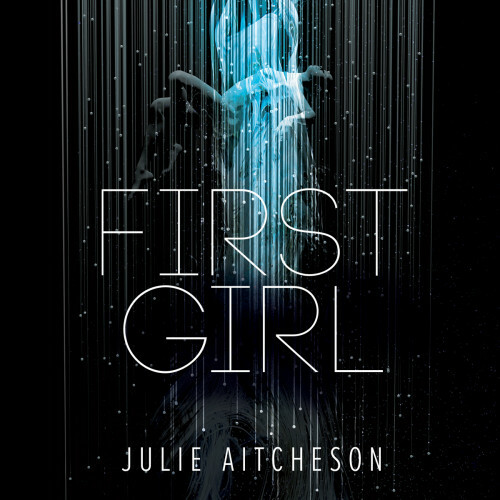 It was preparation.” Aitcheson couldn’t agree more, and hopes that the warning and promise of redemption in First Girl’s pages are heard loud and clear.